Fianna Fáil spokesperson on Foreign Affairs Brendan Smith TD is calling on Minister Charlie Flanagan to prioritise the escalating displacement crisis in Iraq and to move this situation up the European agenda at the next meeting of EU Foreign Ministers. France has now offered asylum to the thousands of Christians, who have been forced to flee their homes because of the threat from the Islamist jihadists group ISIS. “What is happening in Northern Iraq is appalling. ISIS is engaged in very straightforward, brutal, but largely unreported ethnic cleansing. Northern Iraq was home to one of the oldest Christian communities on earth, with Mosul having been a centre of Christianity for almost 2,000 years. Today, under death threats, the Christian community has fled in what has been described as the largest mass flight of Christians in the Middle East since the Armenian massacres and the expulsions of Christians from Turkey after the First World War. Before the allied invasion in 2003 there were around 1 million Christians living in Iraq. Almost three quarters have left following the onset of the civil war and targeted attacks by jihadist terrorists. 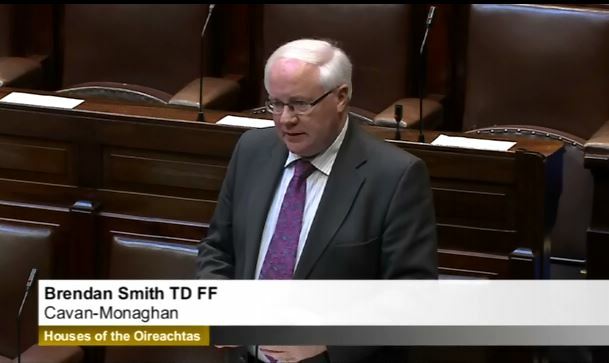 “Fianna Fáil has raised this issue in the Dáil with the former Tánaiste, but we have been deeply disappointed by the Government’s apparent disinterest in what is happening. Sectarian displacement on this scale should be a cause for much greater concern for policy makers across Europe than it has been to date – I would like to see Ireland taking a lead role in moving this situation further up the agenda at a European level. “There are many very difficult conflicts and legitimate demands on international attention at the moment; however we need to be careful that this massacre, which is truly historic in scale, does not simply pass unnoticed and unchallenged. Minister Flanagan has an opportunity in his new role to shine a light on the situation in Iraq, and I would urge him to raise the issue with his European counterparts at their next meeting”. This entry was posted in European Union, policy, politics, SPEECHES and tagged brendan smith, ethnic cleansing, EU, European Union, foreign affairs, iraq, ISIS by Brendan Smith. Bookmark the permalink.